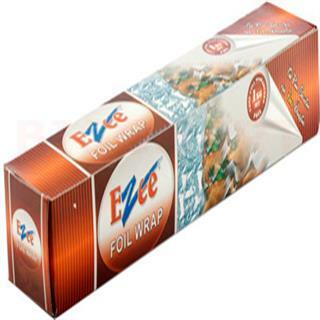 The Aluminium Foilfrom Ezee is made of 100% pure aluminium. This makes it convenient for you topack food items to school, college, or workplace. The foil keeps your food warmwithout discoloration, prevents the spread of bacteria, and maintains hygieneall day long. You can also use the 18-metre foil in cooking, grilling, andmicrowaving your food.